Tissue Procurement: Human dermal tissue is collected from cadaveric donors within 48 hours of death or as surgical specimens from a relevant procedure. The tissue is harvested from the knee joint from both clinically “healthy, normal” donors and from those diagnosed with rheumatoid and osteoarthritis. Proper consent and serological information is obtained on all specimens. 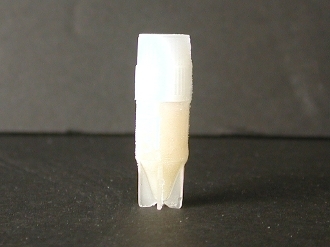 Cryopreservation: Dermal tissue is digested with an enzymatic treatment. The isolated cells are seeded onto a flask and cultured until the first passage to remove any non-adherent cells. Dermal fibroblasts are processed for cryopreservation and combined with FBS containing 10% DMSO. Cryopreserved cells are shipped with dry ice for overnight delivery. Guaranteed minimum recovery of 1.0E6 cells after 1 week in culture with Growth Medium.